When my life underwent massive upheaval (a.k.a. divorce) I started an obsessive search for answers about how to live and who to be, reading my way through the self-help books I used to scorn and the personal finance books I’d never bothered to examine beyond the first few pages. I read about addictions and personality disorders and the creative process and the creative life. I read about blogging and social media. I read about feminism, wealth-building, spirituality, emotional and social intelligence. And as all this stuff cross-fertilized in my head, I began to see how certain ideas crossed disciplines; how they connected, supported and reinforced each other. Some of the same things came up over and over again in books about very different topics. Which is why I’ve come to believe that doing creative work is about living a creative life, in a way that goes beyond the technical details of how to structure a scene or mix colors on canvas. Knowing about the craft is very different from actual, day-to-day engagement with it. Reading an issue of Writer’s Digest is easy. Sitting down to actually write — overcoming your built-in resistance to do so – is hard, sometimes very hard, so much so that the biggest dream-killer of all isn’t lack of time. We are wired to resist creative work. We are programmed to take the easy way out. The easy way seems like the known way, the safe, secure way, and that’s what the ancient part of our brain is always seeking. Avoid danger. Avoid, avoid, avoid! Live to love another day, so that we can mate and produce offspring. We do the same things in the same way, follow the same patterns of behavior, because that primitive part of our brain seeks out not what’s necessarily in our best interests, but what’s familiar. The brain thinks that what’s familiar is in our best interests: if it’s managed to keep us alive so far then hey, it must be working, and if it’s working, it ain’t broke, and if it ain’t broke, don’t fix it. Right? Creative work is dangerous. Creative energy is constantly in flux; we are going into the unknown, we are doing new things, we are making it up as we go along. We are gathering material and transforming it and, in so doing, transforming ourselves. So no wonder that the decision to sit down and write often triggers the part of the brain known as the amygdala, on the constant lookout for fear and danger. The amygdala doesn’t care about writing the great American novel (or even a very bad American novel). The amygdala senses change, which translates to predator, which translates to something very big and very bad is about to eat you right now so you should go shopping instead. Or watch TV. Or hang out with friends. Or clean the kitchen. Or surf the ‘Net. Those things are known, familiar. They take away the anxiety, ease the strain and tension. You don’t have to deal with the fear of making something out of nothing, and then the fear of showing your work to the world. You’re safe to live another day…and another…until you wake up one morning and realize that all your novels remain unwritten, your songs unsung, and now you’re out of time. Which is why, to do creative work, we have to figure out ways to sidestep that part of our brain, to engage its higher and more evolved elements, to tap into the parts that create rather than judge or evaluate or censor — or freeze, or run like hell. Creative intelligence is fluid and dynamic, calling on different forms of your intelligence simultaneously. So call it your higher self, your mojo, your spirit, your divine spark, your inner goddess, your cosmic energy, your spiritual cowboy, your funky flying spaghetti monster: whatever it is, it wants and needs to serve you. But first it needs to move through you, and for you to get out of its way. Originality is rarely found in the idea, but the execution of the idea. It’s about what you bring to it and how you interpret it, use it as a vehicle to deliver your life philosophy, your worldview. Howard Gardener developed the idea of multiple intelligences. He identified eight forms of intelligence, verbal and nonverbal. Each individual is stronger in some than in others, creating a cross-profile unique as a fingerprint. Scientists have also discovered that neural intelligence doesn’t just exist in our head; it’s in our hearts, our guts, our spines, so that body and mind are more like a bodymind. We ‘know’ things and process information on different levels. Add to that the unique personal history that each of us carries inside, the layers of memory and experience, of fear and obsession and neurosis and joy, bake it all together, and you have what some might call a ‘soul’. Souls are like snowflakes: even though they’re all over the place, common as ants, no two are alike. The challenge of creative work is to develop and know yourself as a person even as you learn about yourself as an artist; to form a deep and authentic worldview, and the courage and skill to infuse that worldview – that soul – into your work. What results is your voice, your signature style, your brand. And that is what’s original. It doesn’t come from anything plucked from external sources; rather, your influences and inspirations are sifted through your interior world, and transformed into something that is (hopefully) familiar and accessible, yet also strange and new. Something the reader can relate to and resonate with even as it makes her adjust her perspective and see the world in a different, deeper way. It is fine – and normal and good – to imitate others; it’s how we learn. But the end goal should be something uniquely your own, and to be smart and confident enough to follow where it leads you. So much of what we think of as thinking is actually not thinking at all, but a form of automatic pilot. We stick to the familiar; we develop habits, patterns and routines; we fall into ruts. And when we don’t have to pay attention to what’s around us, we free up the mind to roam into the future or the past, to fret about things that will probably never happen or already happened long ago. And yet, so much of art lies in the details. The specifics. The tones and textures, shadings, scents and sensations. The ability to catch a moment and convey it. We create our own reality through what we choose to focus on, the details we choose to notice or ignore. In life, so it is in your work: you create a vivid and concrete reality, an other-reality, for the reader through the artful use of detail. It’s the small things that gesture at the larger things, that bring those larger things into being. But you won’t collect them in order to use them judiciously in your work…if you don’t even notice them in the first place. Bring your mind back to the here and now. Live the moment. Live it deeply. Then live it again in your work. Here’s the thing about your brain: it makes an excellent servant but a lousy master. We are not our thoughts but the consciousness behind our thoughts that has the ability to evaluate, observe and guide those thoughts – so long as we deliberately choose to do so. Otherwise we put ourselves at the mercy of a kind of random chatter that tends to zero in on the negative: what we don’t have, or what we have but don’t want, or the mistakes that we made, or might make, or somebody else made: all those things that appear on our mental radar as that ancient part of our brain scans for danger, danger, danger and tries to anticipate and prepare for it. We also subject ourselves to what’s called a bottom-up awareness. We create our reality through what we choose to focus on; what we put our attention on, grows. But if we move through life without intention, without goals, then things leap out at us randomly to consume the precious resource of our attention. We’re easily distracted and somewhat oblivious, reacting to what’s thrown at us. The simple act of stating your intention programs your brain to notice things that support that intention and ignore or discount the things that don’t. This is called top-down awareness, where you might notice, for example, a specific kind of bird because you are proactively scanning for it. You are walking your mind through the world rather than vice-versa. When you set your intention, you direct your awareness in ways that help you achieve your goals, whether it’s finding a great seafood restaurant for dinner or envisioning and writing the next chapter of your novel. Two people will have radically different experiences of the same event because each of them will notice different details and focus on different things. Your attention is like a flashlight in a dark room; you can only shine it in one corner at a time. What you choose to notice, and how you choose to assimilate it, to weave it through your interior loom, is unique to you. And creative work is not about seeking meaning so much as making meaning, about finding the patterns and connections and relationships among things, how they fit into a larger picture and why we should care. Pay attention to what resonates for you; what rings out as authentic and whole. That’s your truth. Bring it into your work. Don’t let other voices talk you away from it, or make you doubt or destroy it. Don’t let other people define your experience for you, or impose their ‘reality’ over yours. That will contaminate your work and wound your soul. Ritual marks the experience of liminality: of boundary or threshold. The liminal state is a kind of suspension, a “betwixt and between”: a crossing of boundaries that divide the sacred from the profane. It is a space of creative energy where the usual norms dissipate and new, alternative states can be experienced. When you move into creative work, you’re crossing from one state of mind into another. Consider creating some kind of ritual that will signal both your body and your brain that it’s time to let go of pragmatic concerns, release the inner critic and surrender to the creative process. Make your workspace a sacred space, a writing altar: keep it clear and decluttered (since clutter pulls at your brain and distracts it), place within it a few items that have personal meaning for you, that inspire you in some way, and make it pleasant and inviting, so that you want to spend time there. When you take your workplace seriously, you take your work and yourself seriously, something I realized when I finally made the connection between my dissatisfaction and ambivalence about what I was writing at the time, and the fact that I was writing while sitting cross-legged on my bed, or sometimes on the couch downstairs. I had three published novels by two major traditional publishers and no designated workspace. It was a sign, to me, that as much as I wanted to be a writer, on some level I didn’t consider my writing important or significant enough to take seriously. And if I didn’t, how could I expect anyone else to? The power of ritual also derives from a neurobiological fact: neurons that fire together, wire together. An amazing thing about the brain is its plasticity: even as it shapes our perceptions and experiences, we are shaping and reshaping it through the experiences we choose to provide it, the neural tracks that we lay down. By repeating the same set of behaviors, we link them together so that we create our own mental automatic drivers. The more strongly neurons are linked (through repetition), the more automatic the behaviour becomes. An established creative ritual activates that linkage of neurons that guides you to your creative self. After all, you don’t need willpower to write. You need willpower to sit down and start writing, to transition from one state to another. What’s at rest tends to stay at rest, and you want to get yourself into creative motion. Creative rituals help you with this, triggering your creative state in a way that doesn’t freak out the amygdala and flood you with the anxiety and paralysis of procrastination. Try it. Say an invocation, as elaborate or simple as you like; light a candle; play music; clean off your desk; fill your favorite mug with green tea; meditate. Then get to work. It doesn’t matter what you do so long as you do it over and over again, consistently, across time, until your creative rituals and habits become so ingrained in your brain that you’re compelled to work even when you’d rather watch TV. Sure, meditation makes you look within and live in the moment; it improves your focus and concentration, and becomes a ritual in itself. But meditation also slows…you…down. It relaxes you. And when this happens, your brain downshifts into the alpha brain waves that generate creative thought. A passageway opens between your conscious and your subconscious minds and allows you to bypass your creativity-killing judge/censor/critic and tap into a different state of being. We enter the creative trance, the waking dream. We flow. Incorporate some meditation into your creative ritual, and the results could surprise you. PPRACTICE EVERYDAY (or every other day, or three days a week, or whatever works for you). A practice is something you do on a consistent basis, whether you want to or not. It’s not about how you feel, it’s about what you do; thought and attitude have a way of following behavior, not vice versa. When you’re building your financial portfolio, it’s important to make a practice of investing a certain sum of money every month, like clockwork, so that you’re not catching the market at its up or down. It’s also important to take a long-range view: those ups and downs have a way of stabilizing over time, so that you’ll come out way ahead of inflation and taxes. When investing in your creative self, slow and steady and consistent — not succumbing to mood and emotion, the whims and fears of the moment — beat out streaks of inspiration alternating with long gaps of doing nothing at all. Growth accumulates. When you do something over and over again, it becomes a habit. Habits rule and dictate our lives. Even if it’s just twenty minutes a day, staying in frequent contact with your creative self will ensure that your creative self keeps mulling things over and developing them behind the scenes as you go about your life. Things in motion tend to stay in motion. Develop your creative habit, and you’re golden. Human beings are wired into each other in ways that scientists are just beginning to understand. We develop “mirror neurons” in the brain that allow us to feel and relate to someone else’s experiences as if they were our own (a.k.a. ‘empathy’); we are constantly absorbing and transmitting nonverbal messages, through gesture, stance, tone of voice, facial expression, whether we intend to or not. We were built to connect and communicate. Which means that to truly understand others, you must work to understand yourself, and vice-versa. When you fuse this understanding with skill, soul and art, you take the personal and make it universal. By showing other people yourself, you can show them certain aspects of their own selves, sometimes for the very first time. You say the things they want to say but can’t, or didn’t even know that they knew. Reading your words I felt as thought I was being taken on a mountaineering trek, through ice fields, and then arriving at the summit to find a rocket ship waiting for me. Thanks for this awesome piece of writing. Again. Awesome. Thank you for synthesizing so much of what you have learned and sharing it with the world. damn. reading your blog makes me want to throw everything away and write. You strike a chord of truth yet again. I’ll spread the word about this post. I live and practice by Four Preparations: 1. Put on the Robe & Write with Intention. 2. Show up & Shape Time. 3. Stoke the Writer’s Fire. 4. Ride the Wave of Concentration. Yoga & meditation screwed up my writer’s life in all the right ways. Cheers. And keep sharing the great work. I’m in love with you, and I don’t even know you! Thank you for all that you continue to give, and for what you’re able to unwrap in my own mind. In a sense you explain my own worldview to me. PS I wrote that when I was at FIND YOUR TRUTH. Good ending. When you take your workplace seriously, you take your work and yourself seriously…second time I have heard this in the past few weeks. I am now going to adopt this one simple formula into my life in other words living by my rules. 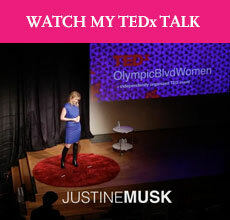 Great post Justine…stay creative!!! So true! “After all, you don’t need willpower to write. You need willpower to sit down and start writing, to transition from one state to another.” I recently revisited my hippie/wiccan days and created an altar dedicated to art and writing. It’s truly a powerful thing. LOVE the idea of workplace as sacred space. Thanks again for another fabulous post! This post was packed with so much relevant material its hard to know where to begin praising you. You know its good when one must go back and meditate each area multiple times. I feel like a cow chewing the cud. Wow. What a powerful piece of writing. Loved it. Thank you so much. I also loved what you said about writing on the sofa… and creative rituals. Sometimes it’s so surprising how we treat ourselves in ways we’d never expect anyone else to thrive… and then give ourselves a hard time for not thriving! Once again, many thanks for a beautiful piece of writing. I look forward to more. I found you through a Twitter RT. I swear it’s like a secret club full of all the amazing people I’ve been waiting all my life to meet! All these things we know, but tend to run away from. And, of course, we’re always running. It’s hard to put the breaks on. It’s hard to deal with the anxiety induced by confronting a blank screen or an empty piece of paper. A few minutes of meditation or simply being quiet can be enough to circumvent the anxiety. The creative solutions are blocked by trying to force them. Sometimes when I hit the wall, I pick up a tarot deck and toss a few cards on the table. It’s like using a creative whack pack. All of the sudden, the barriers come down and the ideas come through. Thanks for the reminder. I know I need to work on reinforcing the discipline of ritual and meditation. I’m grateful to my friend Sharon for bringing your blog to my attention through a link at Facebook this morning. Reading this post, I feel validated for my own unique labyrinth journal writing process and inspired to continue my explorations on the page while envisioning how best to share with others. I’ve bookmarked this so I can return to try out suggestions and have added your blog to my reader so I can return as time permits because I believe ‘everything’s connected’ and there are no accidents. Since I’ve known of you, up until today I’ve been smitten. Now, I’m in love. Can I please bear your children? You are so right that having a creative practice actually makes you more creative. It took me years of making a living from my art–but ironically, almost never creating any new art–to figure out that if I wanted to be actively creative, I had to make it happen myself. My art, my music, my writing–none of it was going to magically get done on its own! I stumbled on a lot of the same techniques you write about here (if years of self-reflection and, like you, readingreadingreading, can be considered “stumbling”!) The one I’m still struggling with is clearing the physical clutter away from my space, though I know it will make an enormous difference. Thanks for consolidating so many great tips into one powerful post. Inspiring and beautifully written. I’ll be using it as one of my daily resource links when I launch a new site about creativity in January. I particularly liked your admonition, Justine, of enlisting ritual to seduce creative response. I’ve found that it’s virtually impossible to build any type of creative momentum without the essential body-mind preparedness rediscovered each day through this proceeding. right now, i know if i sit up just a little higher and look over a stack of papers (and lotion and movies and thank you cards and, interestingly enough–fake nails–haven’t worn them in forever … it’s quite the pile of Stuff), i’ll see a great-smelling candle on a really, really awesome holder with dried flower petals from my boyfriend sitting around it… as it stands right now, i really Never see the candle, even when standing, because it’s so crammed back into a corner. haven’t lit that candle in a long time. i think it was suicide awareness day and i saw on facebook people were lighting candles so i lit it. and i’m the type of person who loves candles and incense and just making rooms feel comfortable. around my desk right now is so NOT comfortable. it’s pretty horrible, in fact. could be part of why i haven’t been motivated lately. i wrote a lot more before we got this new desk and i was using my other one — stuck in a closet, but fairly organized simply because there was no room for clutter! so cleaning up this mess is on my to-do list. and that’s only one of the things this article inspired me to do. Love this post. As always, you have spurred my brainwaves into gear. You seem to think on a higher plane, a different level that most. When I read your writing, I am inspired and discouraged at once. Inspired that perhaps, if I could sit still long enough, good things would come pouring out of my brain, yet too distracted by life, fear, and self-doubt to pull it off. Discouraged because there is little said that you haven’t said better than all the rest. Why compete when the championship has already been won? You truly are a great, great writer, thinker, inspiration. Nail. on. the. Head. Gracias. When I read your post, I felt inspired and empowered and my need for connection and reverberation was met. Thank you, thank you, thank you! Nicely done. Thanks for sharing your knowledge and insights. I enjoyed the bit about creative rituals. My creative rituals often involve coffee shops; surprisingly, the coffee shop environment seems less distracting and more conducive to writing than my office at home. I think I need to work on my home-based creative rituals.